Road/race tyres are designed to be used both on road and track. They will usually have a speed rating of H (130mph) or V (150mph). Englebert tyres were the benchmark racing tyre in their period. The performance of these tyres was exceptional and many of the top F1 teams of the day equipped their cars with Englebert tyres including Ferrari, Lancia and Maserati. Michelin decided to re-introduce the Englebert tyre in the 90's due to the demand from collectors. Once again the Englebert became a benchmark vintage tyre much used by classic racing cars; but only for a short time. Production ceased a few years later. But we can now offer other vintage tyres that respond to the need for authenticity, safety and performance demanded by drivers of vintage and classic racing cars. Excelsior Competition, Michelin and Dunlop Racing all provide tyres suitable for road and competition use. The Excelsior Comp H is a tyre suitable for all manner of vintage cars with its traditional looks and superb performance. Michelin produce the Pilote X, a radial tyre with the size marking and appearance of a crossply racing tyre and the performance of a W (170mph) rated radial! 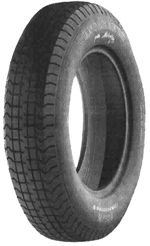 We also have the Michelin Pilote X Course another radial version of the crossply racing tyre. Dunlop produce the R5, R1, 5 stud and Triple stud styles. These offer fantastic performance in wet and dry conditions on both road and track.